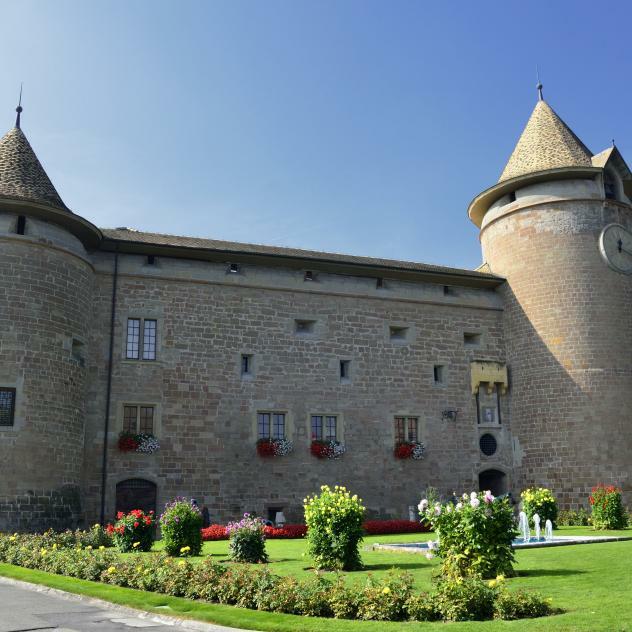 Exploring the main sights of Morges with a map in your hand: there’s nothing different about this classic tour of the town, except that, in this case, you’ve got to have a golf club and a golf ball too! This is the CityGolf concept: a fun way to visit the town with family and friends. One of the attractions of golf is that it’s a game you play outside while enjoying the scenery. So why not transpose these sensations to an urban environment? This original way of exploring the town is the CityGolf concept devised by the Morges Tourist Office. Equipment can be hired from the tourist office and while booking is not essential, it is recommended for groups. This derivative version of golf is played with a three-sided club and a big foam ball. And once the players have got their plan showing them where to go and their club and swin golf ball, they set off on a search for the blue and red posts designating the starting point and target area respectively. The perfect way to have a laugh and explore the town! With CityGolf, there’s no need to practice your swing. The main thing is to take part, have fun and avoid hitting your ball into Lake Geneva!